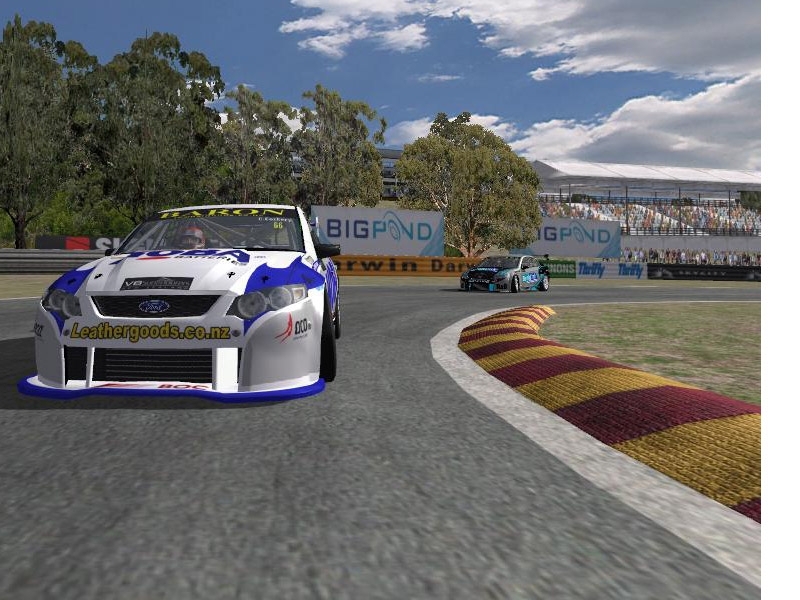 We have a full stable of tracks we have created in house, Symmons Plains, Hamilton, Gold Coast, Townsville, Sydney, Ipswich, Barbagello, Winton, Phillip Island and Hidden Valley to name a few. They are all at various stages of WIPs. This one is a WIP2. There are currently no setups for Hidden Valley FVR. Add a Setup. Update having given this a work out - found the track an impressive challenge, even though it is comparatively short compared to some. Short but sweet is maybe the expression I am looking for. Really have to work on it in order to reduce your lap times as said above. Nice work all round, impressive for a WIP. 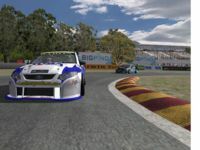 Wow great work well done love the feel of this track feels much better then the older (toca series version) hidden valley, I am curious at the comment by NEEL JANI I am building a track for my own use and used objects from different games (toca, btb, gtr1-2) and no mention of copyright, i asked permission to use everyone but they all told me the same thing they used the same objects from other games and have done so with various engine sounds, I find this very interesting as more then one game developer has said??? 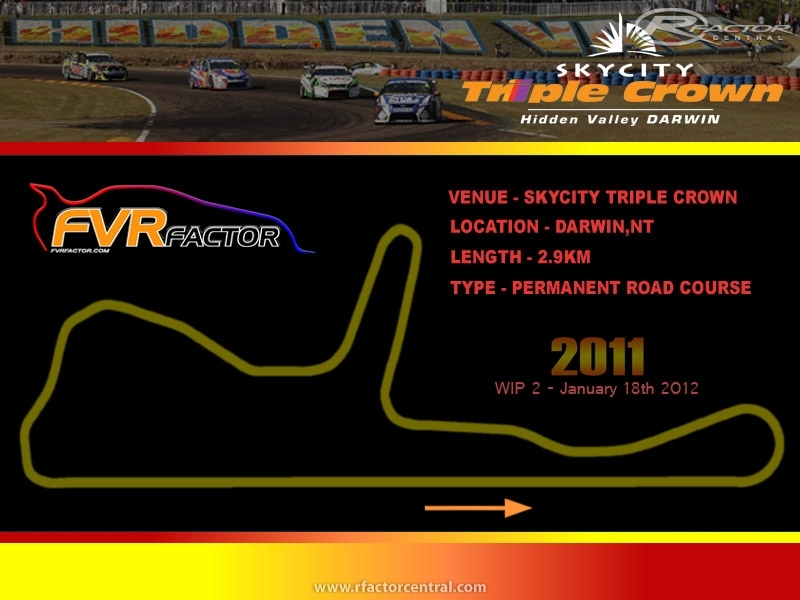 Looking forward to Winton & phillip island......cheers, Nick. Guys complaining about this track; You need to remember it is only a WIP 2. Stop going on about problems, a WIP isn't a finished release so not everything isn't going to be perfect. Good effort, would like to see final release before voting. Realism and a sim are to completely different things. @ Neel Jani - Hi mate not sure what you mean about the region New Zealand. Good pick that the cars are in the screenshots, but we didn't say it was from New Zealand and we didn't post the pics. As for the 3D public RBR, not sure what RBR is but some objects are from BTB (public) and the pits or stands are from Simbin. The implication that most objects are from Simbin is a bit harsh when there isn't too many objects on the track. Allow for this track to get closer to completion, I just thought people would enjoy it as it is because I probably won't do any more on it for another year. The track is the grounds are well done! by cons that does not fit with the circuit is réjion new zealand! it is the vehicle objects, 3D public from RBR most other object SimBin, it spoils the realism.